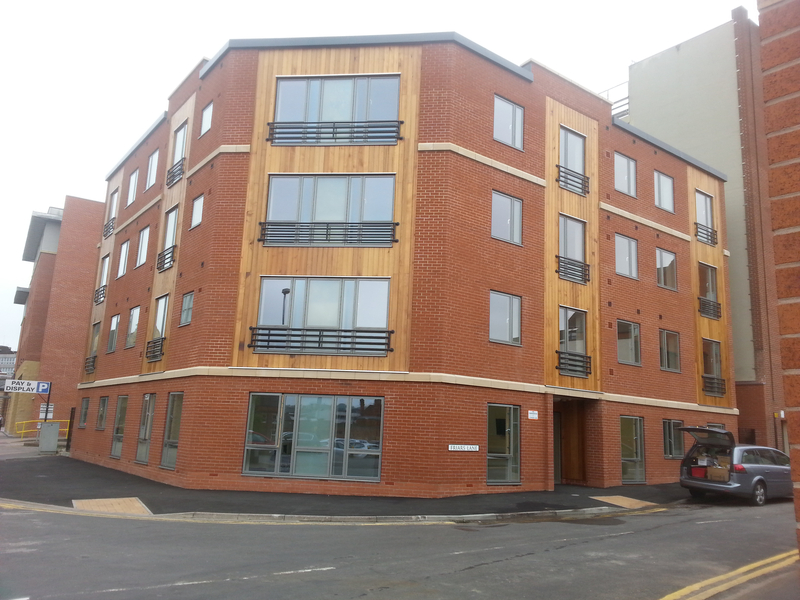 Woodhead delivered an Alcohol Treatment and drug rehabilitation centre, comprising of 15 self-contained flats and communal facilities in the heart of Lincoln City Centre. Site access and ground conditions were a significant risk to the project and the clients budget. Specifically, the tendered foundation design was for pre-cast concrete piles. However, it was clear that due to access /site constraints, the piling rig was too large for the site or to operate from the public highways. It would also be intrusive for local businesses and residents in terms of noise and vibration. We engaged a specialist piling subcontractor who designed a much less intrusive mini-piling solution. The extra costs of this solution were absorbed through value engineering of other items. Overall the project was delivered for 4% less than the original tender sum. Located in the city centre and was adjacent to a multi-story car park, and 200 meters away from the local college. This was a tight site, and in order to allow for temporary site accommodation, and for the storage of materials, there was a full road closure to Friars Lane. This also enabled a crane to be situated on the road to enable the lifting of pre-cast concrete floor planks. Due to the road being closed for the duration of the project, it was important that access to the college, and general traffic flow was not affected. Woodhead worked collaboratively with Lincolnshire County Council to ensure an effective traffic diversion was put in place for the life of the project, to guarantee that the impact to the college and residents was minimal. There are risks involved with having works take place directly on roads, including damage to the road itself. Woodhead wanted to eliminate the associated risks by having any works that could damage the road take place directly on the project site. The piling rig was able to be situated on site, due to Woodhead using a mini piling system. This allowed for the installation of the Pile Foundations to take place away from the road, ensuring no damage to Friars Lane.